As much as you wanted to enjoy Christian music to unwind from the hasty pace of life or enjoy music depending on your mood, you aren't able to find a lot of it on your own local mobile phone playlist and even with our current local radios! Copying mp3's from one device to another, deleting and updating songs from your device seemed to be tiresome for you and that's when you get committed to go on streaming. There are lots of online streaming websites available for you to be able to listen to your favourite Christian music. YouTube for example, offers a lot of Christian songs but you just can't get it right - downloading problems get you stuck. But you don't have to worry; the Christian music app for Android below got you covered! Listen to your favourite worship band; discover new uplifting Christian songs wherever you are and whatever you do right from your Smartphone playlist. Air1 app gives you positive Christian hits all throughout the day and allows free Christian music downloads for Android. This app is a contemporary hit radio network, playing contemporary Christian music and is operated by a not-for-profit ministry. You can now listen to trending Christian music, view all Christian artists (alphabetically) and add their album to your favourites and even receive daily Christian verse from the app all for FREE. This app features bunch of Christian worship bands and artists performing from different Christian music genres. Another special feature of this app is it's built in app Alarm Clock and be set it up with your favourite Christian song. 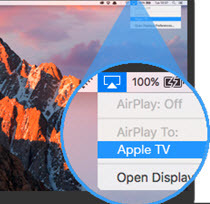 Unlike any other applications, this Air1 application has this feature to look for song lyrics and official song video cover! Amazing, right? Turn this app on and be able to surround yourself with uplifting, positive Christian music that would turn out your day into a whole new one. K-Love is an online broadcasting radio playing positive and encouraging Christian music and is also managed by not-for-profit ministry. 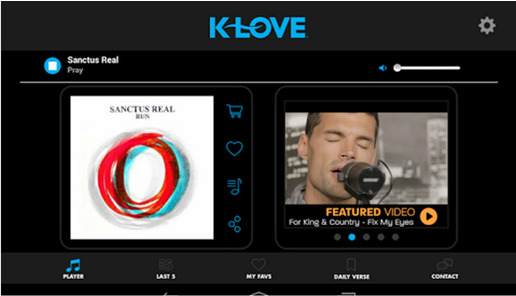 K-Love works much more like an Air1 application except that this doesn't give you the chance to choose your own songs since songs are broadcasted from an online radio station; nonetheless, you can still be able to listen to featured artists like United, Toby Mac, The Afters and many others. As much as Air1 offers varieties of features to the users, K-Love also gives you the ability to add recently played songs to your favourites, listen to daily verse right from the app and look up for the song's lyrics directly when played. Spotify - is a commercial music streaming app that allows you to browse or search music by artist, albums, genre, playlist, or even record level for free. After installing the app to your device, you can now have access to the world of music, either for free or for paid premium subscription which gives you even better experience. 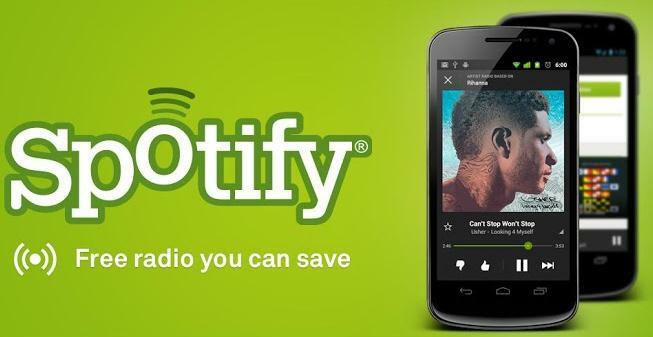 Spotify gives you that chance to create your own Christian music collection with the songs you desire and even import them to your device and stream whenever you want. Listen to any of your favourite Christian song wherever you are. Having a good day? You can play a song along with it, anywhere, anytime and even create your own playlist for that specific mood, adding up more fun to your day! Be able to listen to Jamie Grace or John Waller to inspire your spirit. If you are more into rock/metal Christian songs, then you may consider downloading this app. 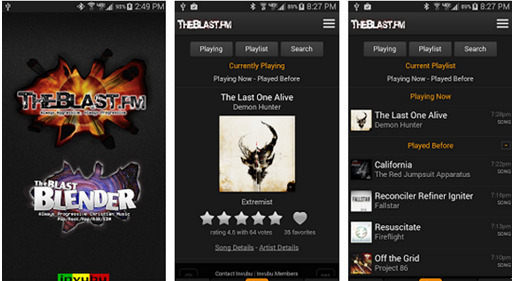 TheBlast.fm is an online FM Christian radio station that plays Christian Rock music. Unlike the 2 applications mentioned before which play soft, contemporary songs, this app only plays Rock/Metal songs all throughout. If you are a lover of Christian rock music and wanting to get access to these songs anywhere and wherever you are, you may want to download this app. 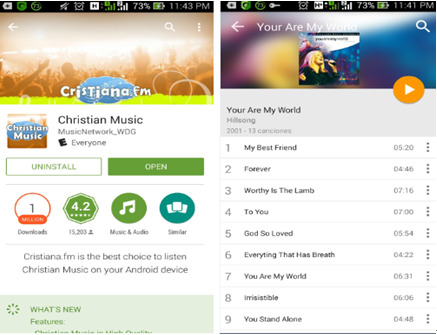 Christiana.fm is one of the free Christian music apps for Android that allows you to listen endlessly to your favourite Hillsong and other favourite Christian songs on your Smartphone or any Android operating device. Christian music or Christiana.fm app gives you the chance to play music by genres, featured Christian artist or listen according to the top Christian songs on their list and add it to your personalized playlist. Unlike with Spotify, Christian Music gives you variety of Christian music choices right into the main page, giving you more time to choose what songs you want to add to your playlist instead of searching over the whole music genres to look for Christian songs. Though this app only gives you an access to limited Christian Artists and songs, it still has a lot of music to browse through and play it as you go off your day. This app features all music genres but only with limited number of songs.